Thanks to Charlie Mullendore of Antietam Classic Cycle for providing these photos on the Yahoo! Loopframe_Guzzi news group. 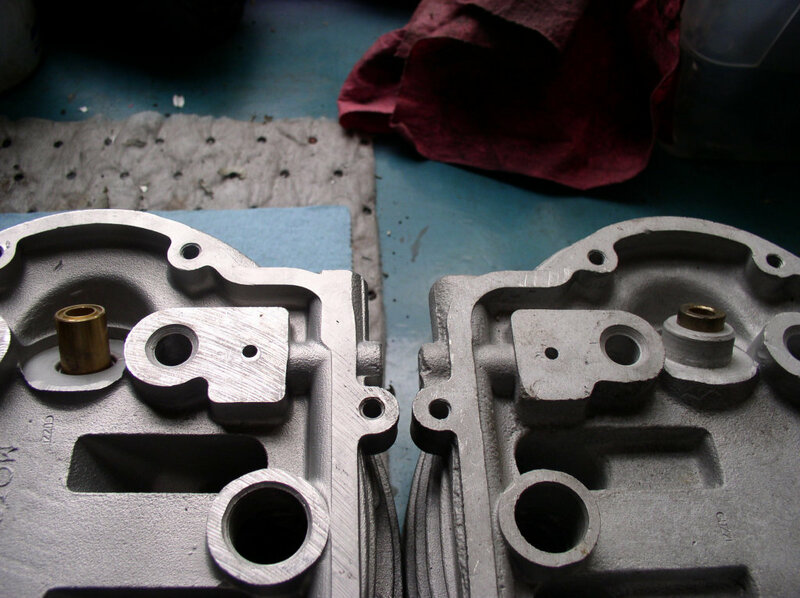 Later cylinder head on left, A-series Ambassador cylinder head on right. Note casting differences at valve guides. 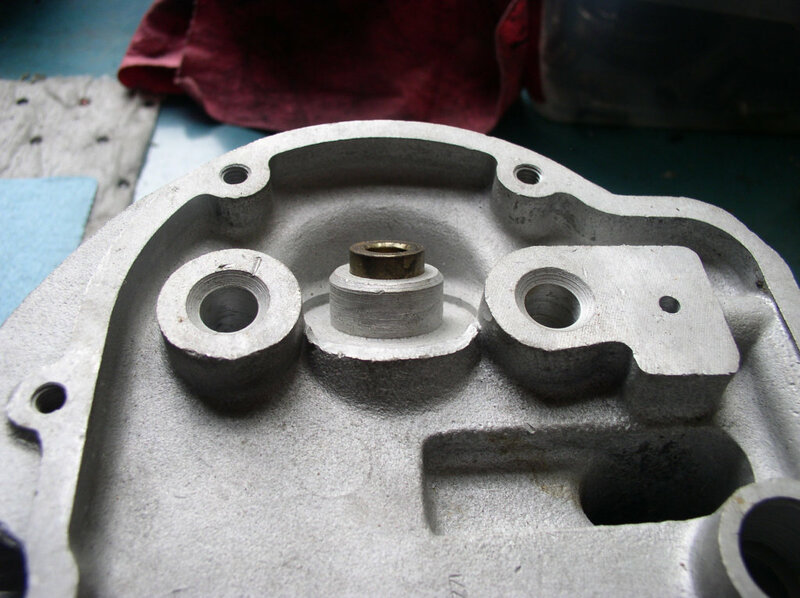 Later cylinder head without extra casting. 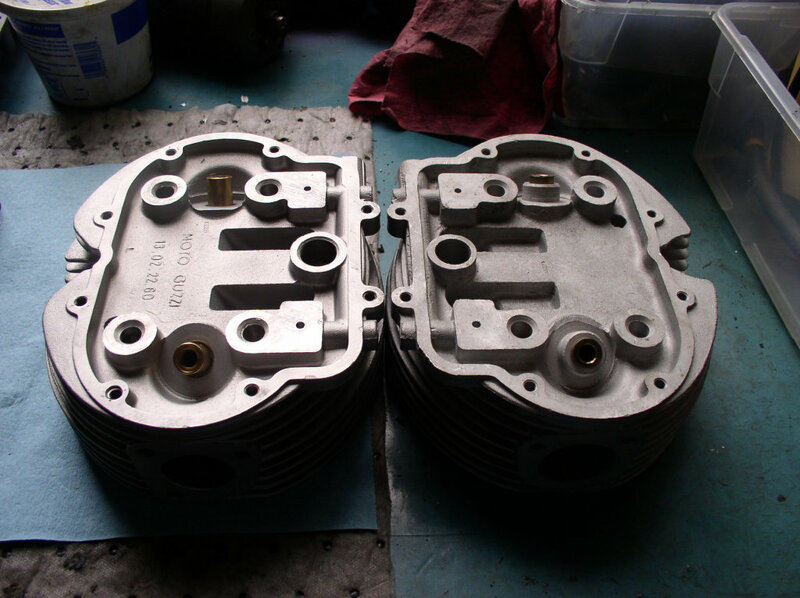 This cylinder head supports the use of two valve springs. 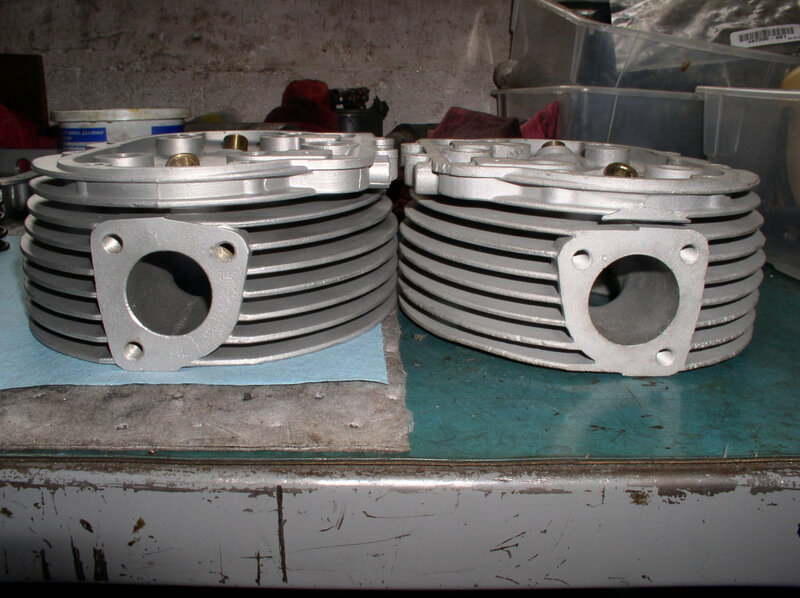 A-series Ambassador cylinder head with extra casting. 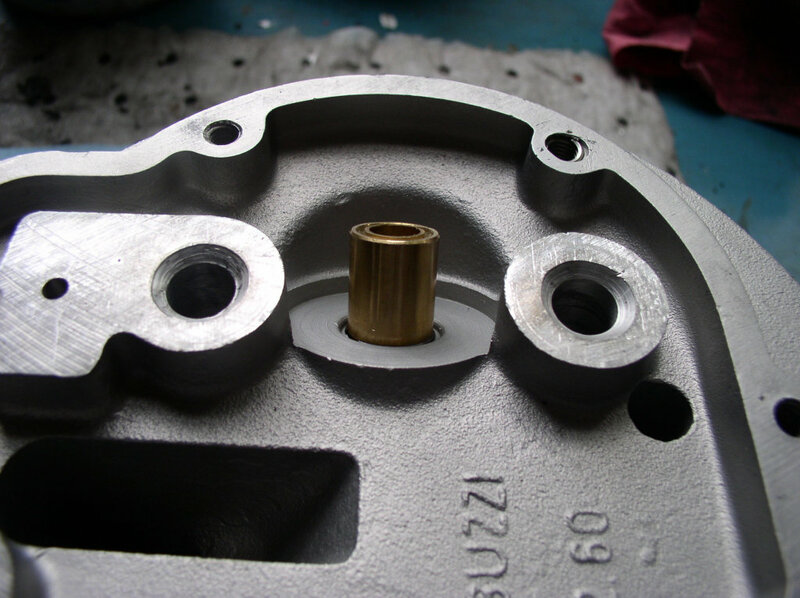 This cylinder head supports the use of a single valve spring. Later cylinder head on left, A-series Ambassador cylinder head on right. Note the larger diameter intake port of the A-series Ambassador cylinder head.